Below you can view all the homes for sale in the Williamsburg Village subdivision located in Indianapolis Indiana. Listings in Williamsburg Village are updated daily from data we receive from the Indianapolis multiple listing service. To learn more about any of these homes or to receive custom notifications when a new property is listed for sale in Williamsburg Village, give us a call at 317-662-3724. Community amenities. Pool, tennis and walking paths. MLS#21633516. Go Fish Realty. The best of Brownsburg and Indianapolis with this location just over one mile from Eagle Creek Reservoir and Eagle Creek Park. MLS#21631345. Keller Williams Indpls Metro N.
Easy access to I 465/I 74/airport. MLS#21622132. Carpenter, REALTORS®. , WI pantry* Over sized family room w/fireplace opens to the kitchen/nook* Office on main is great flex room for office/den/dining* Master suite is WOW in size, vaulted ceiling, HUGE walk in closet, garden tub & double vanity* HVAC ('15), Water heater ('18)* Fully fenced yard. MLS#21629096. F.C. Tucker Company. Neighborhood amenities include; clubhouse, Pool, Playground, basketball, tennis courts and walking trails. MLS#21628072. F.C. Tucker Company. 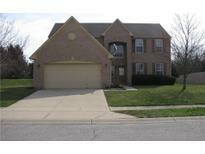 All this and it's near Eagle Creek Park, Reservoir, Colts Complex, Shopping, and in Brownsburg school district! MLS#21627823. United Real Estate Indpls. Awesome neighborhood pool and playground to boot!! ! MLS#21627118. CENTURY 21 Scheetz. The two large bedrooms share a jack & jill bath. Brownsburg Schools. Home sold as-is. MLS#21626190. Triple E Realty, LLC.